As we know, Judy Greer is going to guest star on Modern Family, but now TV Fanatic brings us a first look of the actress on the scene. She’ll pop up on the funniest show on television next month as an ex-girlfriend of Phil’s. These two reconnect via Facebook and, well, you can imagine how well that goes. 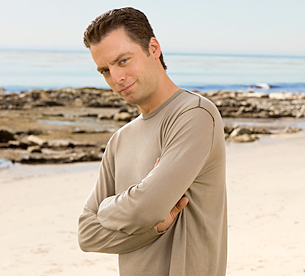 Another guest star that will visit the show is Justin Kirk, who is best known for his hilarious turn on Weeds as Nancy Botwin’s brother-in-law, Andy. Kirk will play the owner of a clothing line on the ABC sitcom. He’ll interact with Mitchell, who quits his law firm and comes aboard Kirk’s company as its legal council. Buy:Prevacid.Mega Hoodia.Lumigan.Prednisolone.Actos.Zovirax.Nexium.Zyban.Petcam (Metacam) Oral Suspension.Valtrex.Arimidex.Retin-A.Accutane.100% Pure Okinawan Coral Calcium.Human Growth Hormone.Synthroid….